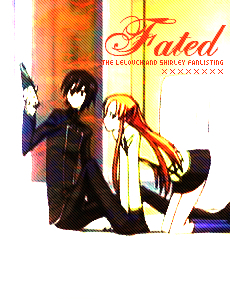 Welcome to Fated, the Lelouch & Shirley fanlisting. 24th April 2009: Miriallia has donated another four codes! Use the X-s above to navigate on the fanlisting. Created with GIMP and Notepad.